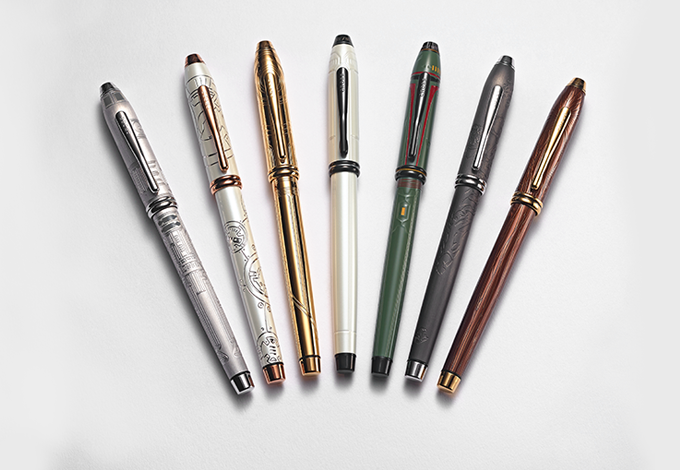 Designed to complement your Star Wars pen, each journal features a flexible cover with an embossed character-themed design and Star Wars logo. Smart features include an inside pocket, an elastic closure, and a ribbon to mark your page as you journal your favorite Star Wars scene. Details include an angled elastic closure, ribbon page marker, and inside pocket. These fine collectibles were created in partnership with Disney to ensure authenticity. Impeccable engraved or embossed details express the dynamic personality of each character. Each item is packaged in a box for a premium gifting presentation. Each Star Wars collectible is covered by a lifetime mechanical guarantee. Cross has partnered with Disney to create this series of officially licensed Star Wars collectibles commemorating the original 1977 film and the saga born from it. This special-edition series offers something for every Star Wars fan. 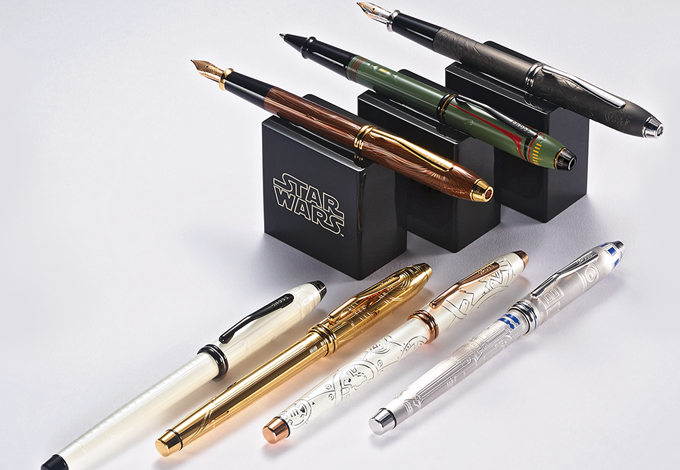 The most famous (and infamous) Star Wars characters are brought to life with impeccable detail, whether on an everyday pen or journal or a luxury limited-edition collectible. It’s the perfect way to express a passion for the Star Wars films.